We recently returned from Avalon Waterways “A Taste of the Danube” four-night river cruise aboard the Avalon Tapestry visiting Hungary, Slovakia and Austria. 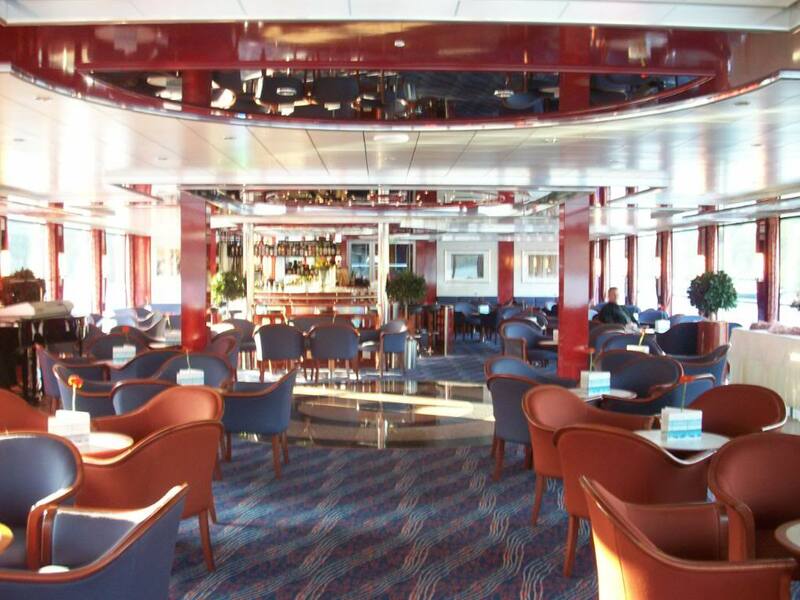 Passengers booking this short voyage are encouraged to add a pre-cruise stay in Budapest and a post-cruise stay in Vienna. 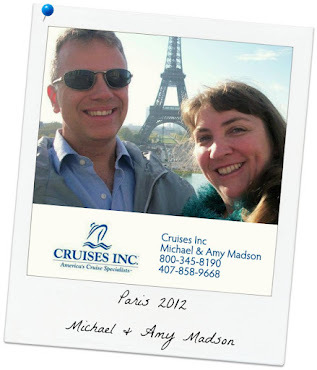 This was our thirty-seventh cruise but our first ever river cruise. Our flight to Europe was in the midst of the disruptions caused by the volcanic ash cloud – making the flight from Orlando to Frankfurt over ten hours long. 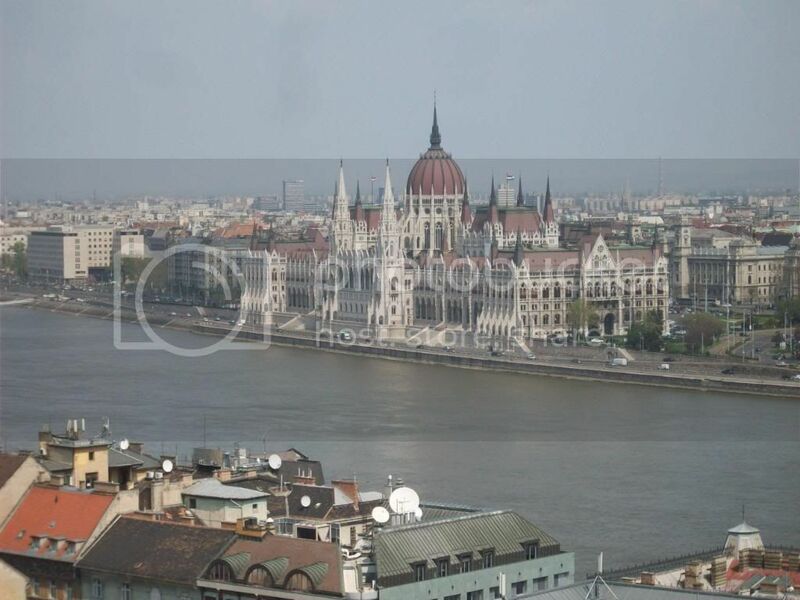 Once we landed there were no outbound flights at all, so we had to find another way to get to Hungary. 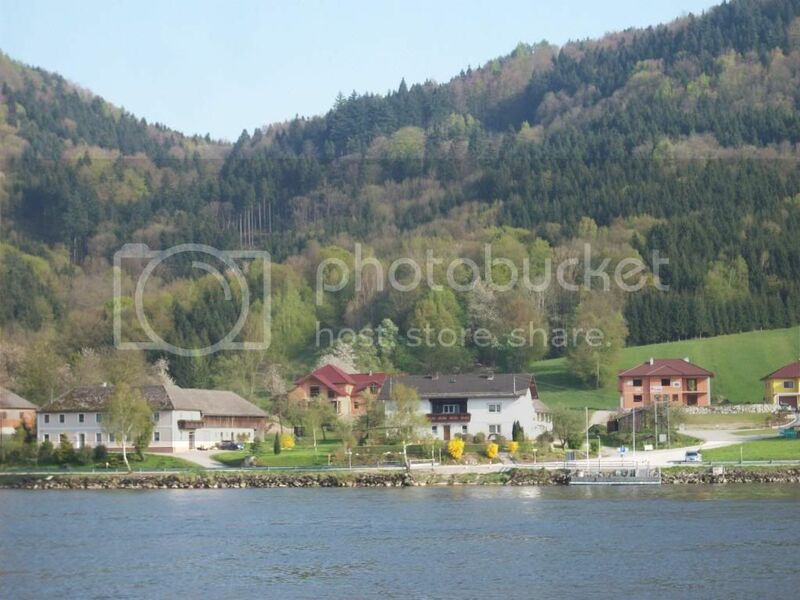 The train ride across Germany was comfortable and the scenery was beautiful. We enjoyed a few hours exploring Dresden, Germany, and had a great meal at Borowski http://www.restaurant-dresden.de/ . The overnight train to Budapest wasn’t nearly as nice as the previous leg; the train seemed old and rickety but we managed to get some uncomfortable sleep during the long ride. All part of the adventure! We checked in to our hotel http://www.intercontinental.com/ at 9:00am (desperately needing to shower and change after over thirty-four hours of traveling) giving us about six hours in Budapest instead of our planned upon full day plus. We walked across the Szechenyi Chain Bridge and took the funicular up Castle Hill where we explored the grounds of the Royal Palace and wandered through the neighborhoods of the Castle District. 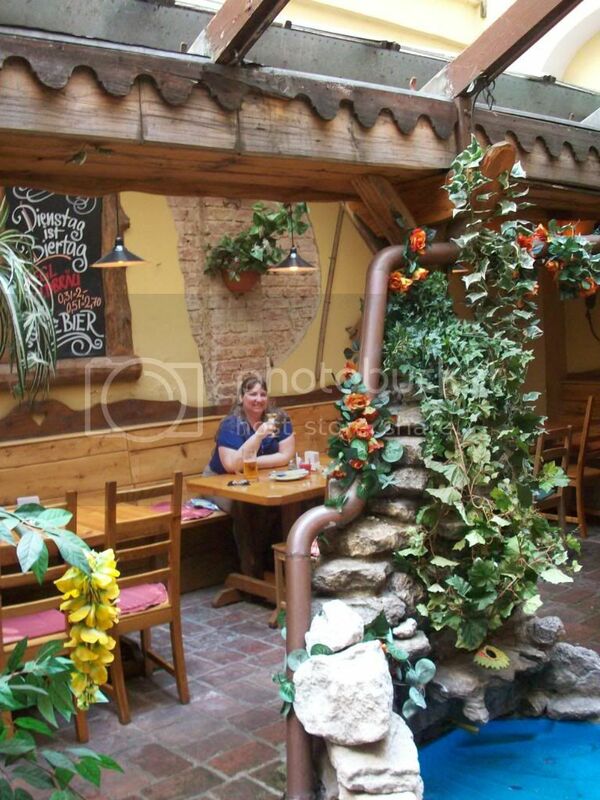 After checking out Matthias Church and Fishermen’s Bastion we had a wonderful lunch of authentic Hungarian food at Onkiszolgalo Vendeglo – a cafeteria-style local’s restaurant where everyone was friendly and helpful despite our language barrier. That afternoon we returned to the hotel and met our Cruise Director Andrzej, who took care of our luggage and directed us to a brand new deluxe motorcoach for the short ride to the Avalon Tapestry. Apparently others had even more trouble with their flights than we did – there were only nineteen passengers on this cruise (and two of them had been stranded there from the previous voyage)! The Avalon Tapestry was built in 2006 with a Silent Drive System ship design – in order to reduce vibration and noise level, the engine and all associated parts have been separated from the cabins. 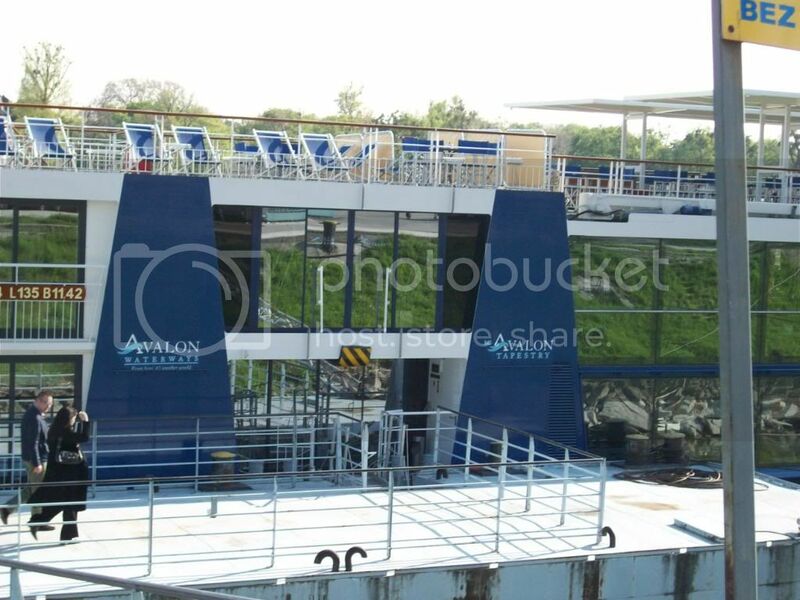 Essentially the engine and bridge are on a separate “boat” that pushes the “barge” with all of the passenger areas. Indeed, we never heard or felt the engines – more than once we were surprised to notice that the ship was moving. She carries 164 passengers in 80 staterooms (172 square feet each) and 2 junior suites (258 square feet each) with 43 crew members. 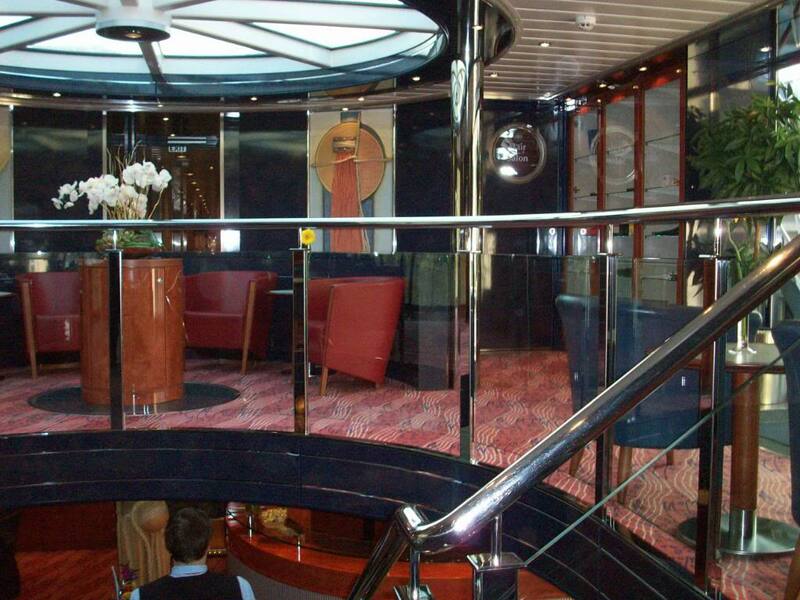 There are seven staterooms on the lowest deck that each have two large round portholes. 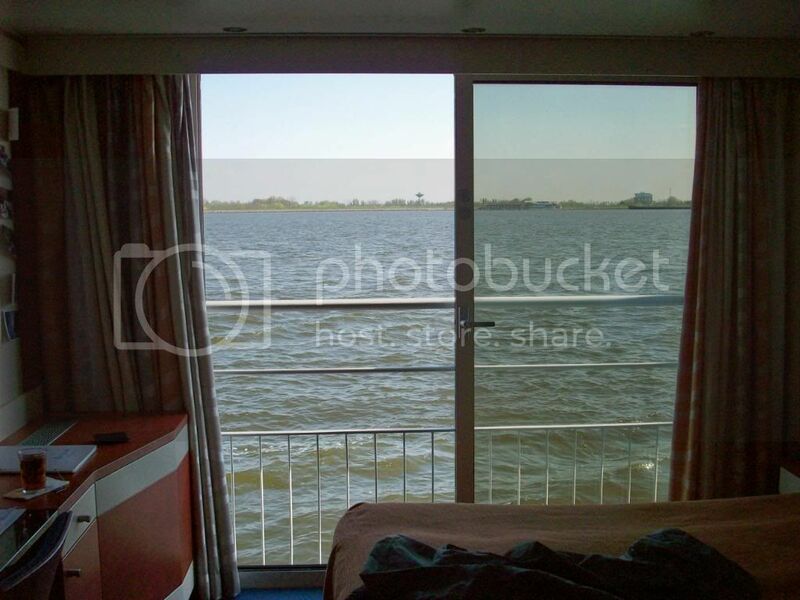 All of the other cabins feature floor-to-ceiling sliding glass doors and French balconies. We were amazed by the amount of storage in the room and the bed was comfortable. One little feature that we really liked: the bathroom door opened inwards! It was really nice to be in front of the closets and not have to worry about getting hit with the bathroom door when it opened. Public spaces were limited but were all designed around the most important aspect of the voyage – unobstructed views of the scenery all around. 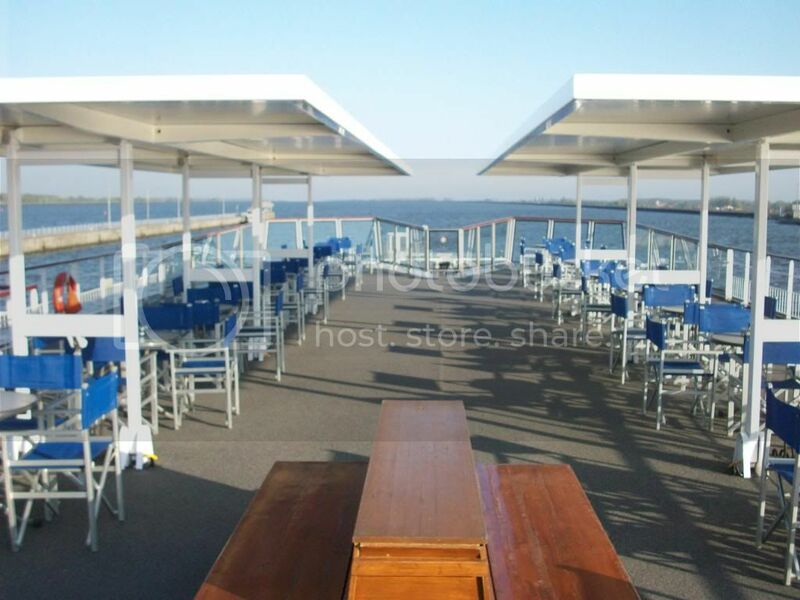 The top deck is completely open and features plenty of comfortable seating. 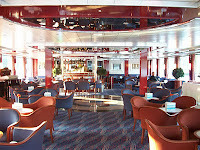 Below that, at the front of the ship, is the lounge with a bar and dance floor surrounded on three sides with floor-to-ceiling windows. Below the lounge is the restaurant, also surrounded by windows. Other public areas included a small library, a basic fitness center (with a nice shower) and an internet lounge with two computers and a printer. The internet was reasonably priced for unlimited access and the ship-wide WiFi made updating the folks back home with our iPhone a lot of fun! Hot coffee and tea, iced tea and water and a bowl of fresh fruit were always available. Breakfast was buffet style with eggs and omelets cooked to order and one item (like French toast) that changed daily available to order from the kitchen. Selections were varied and Champagne and mimosas were included. There were limited selections for early or late risers in the lounge before and after the scheduled buffet hours. A room service breakfast was also available via the traditional door-hanger card that you could fill out the night before. Lunch was also buffet style and included hand carved meats and fresh made pastas. This was an opportunity to try some local style dishes that we normally wouldn’t – boiled beef in horseradish sauce is surprisingly tasty! 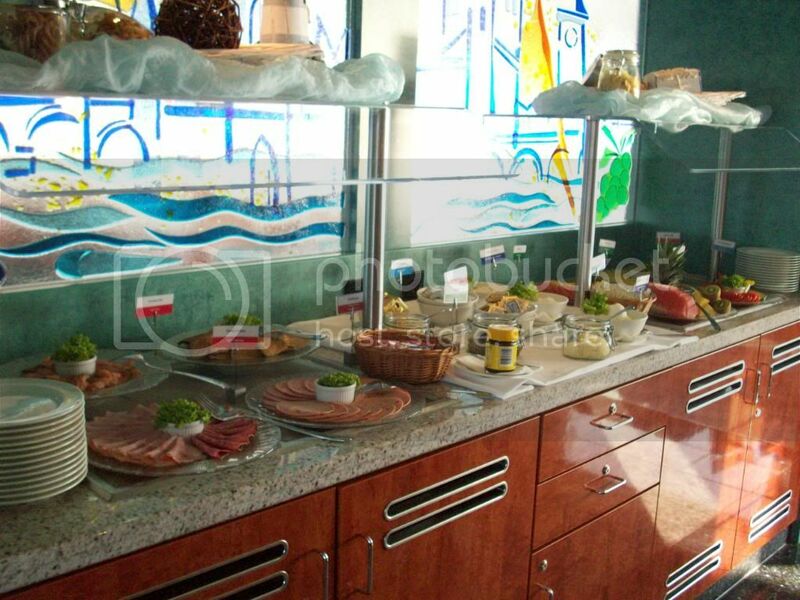 On both the breakfast and lunch buffets we especially loved the cold cuts and cheeses – they all seemed to have a lot more flavor than what we’re used to. 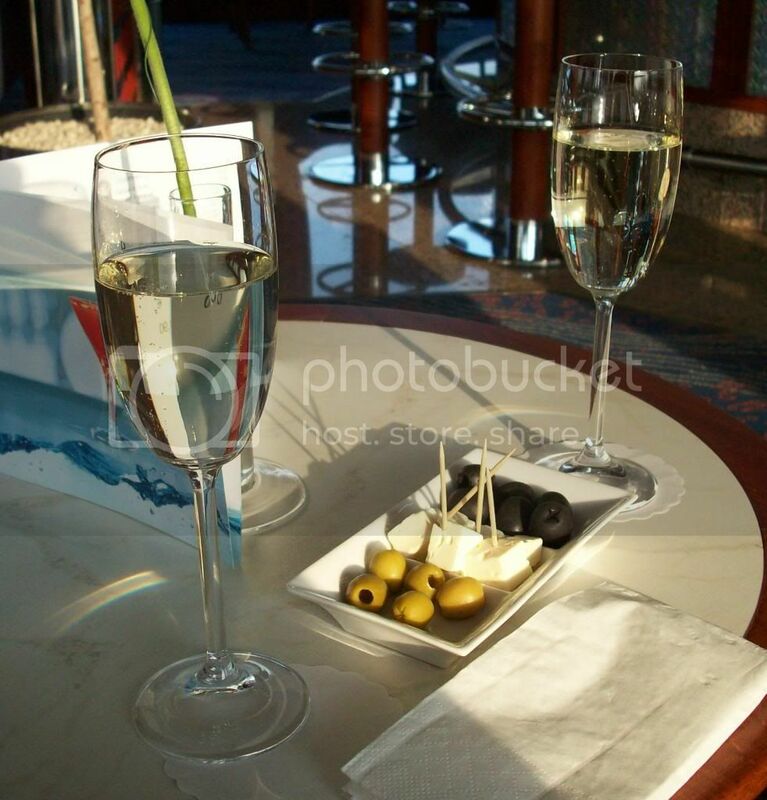 During the late afternoon and early evening most passengers congregated in the lounge. Instead of the usual happy hour bowls of pretzels, each table was set with a small platter of cheese and olives – very nice! Dinner was open seating but at a scheduled time. Included with dinner was unlimited wine, beer or soda, and the wine selections, both red and white, changed each night. You always ordered your choice of main course – fish or meat or vegetarian. Some nights you got to order your choice each of appetizer, soup and dessert but on other nights these were a fixed menu. 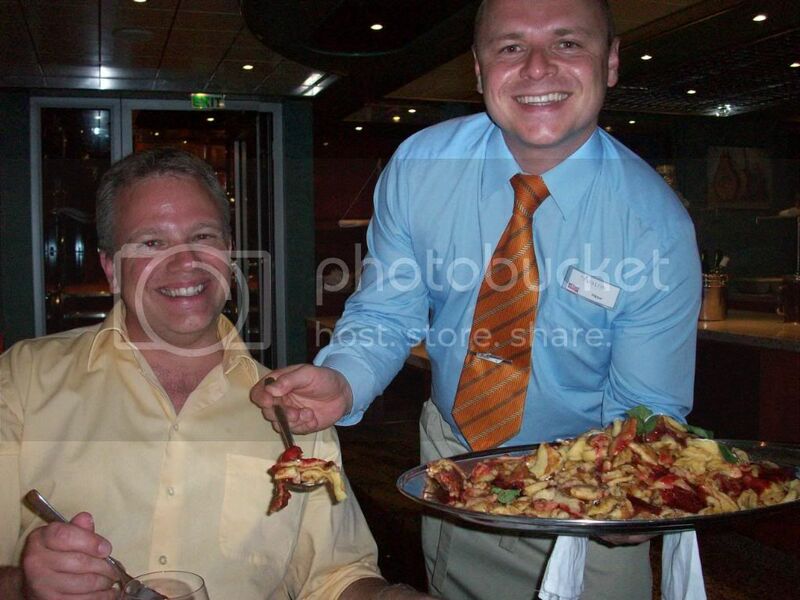 A short time after serving the main course, the waiters would circulate with huge platters of the various entrées and side dishes so you could get more of what you liked or try something that you hadn’t ordered. 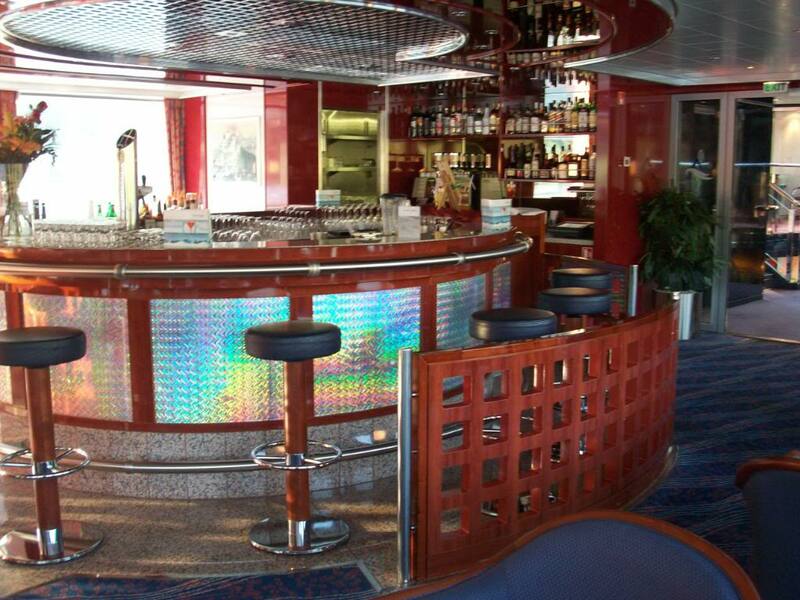 The food was always delicious and fresh ingredients were delivered to the ship daily. The service was unhurried but efficient. We’re told that there were also late night snacks in the lounge but somehow we never made it to those. From the Captain who wore giant wooden shoes from his native Holland to the dishwasher who could have been a professional improv comedian, without exception the crew was friendly, energetic and fun. Many crew members already knew our names and cabin number before we ever met them and they seemed genuinely happy to just chat. Most impressive though was how well they worked together. The crew was so small that everyone had to pitch in for many of the duties; the executive chef and ship’s musician were both seen loading luggage, and we were told that everyone has to help off-load trash by hand! 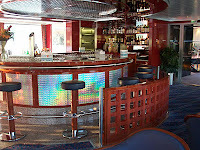 While cruising during the day, our Cruise Director would routinely provide a running commentary of the sights as we passed them interspersed with stories and detailed answers to whatever questions anyone came up with. 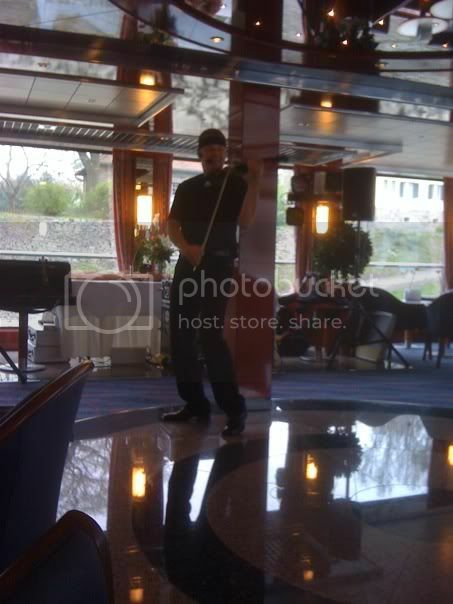 Evening entertainment was provided by Zarko, the ship’s musician. He was quite talented and mostly played piano, but he also sang and played several other instruments resulting in a nice variety of music. Before the ship set sail in the afternoons, local talent was sometimes brought aboard for an hour or so. One was a group of professional dancers who put on a waltz performance and then offered to teach whoever was interested. The other was violinist Giorgio Benedetti who performed unique, energetic interpretations of classical and contemporary songs. By far though, the entertainment highlight was the Crew Show on the last night. 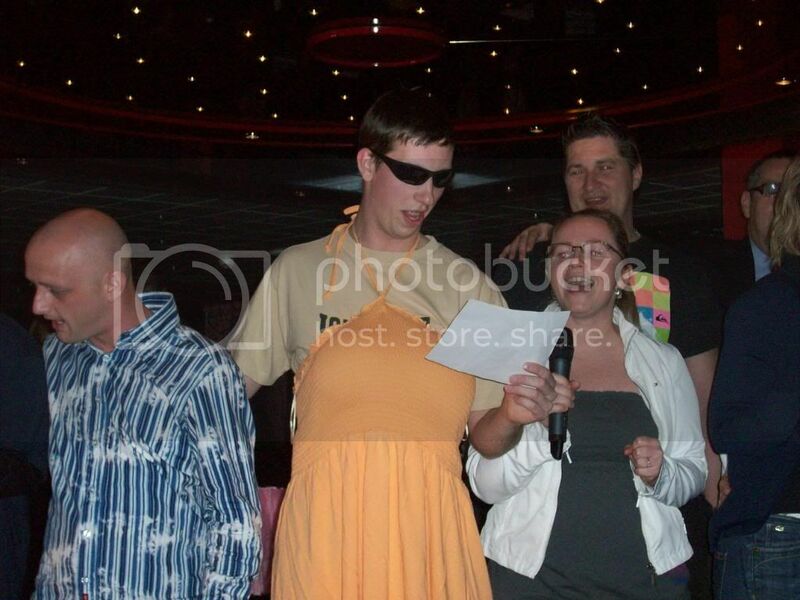 This was just what it sounds like – members of the crew putting on silly little skits in a talent show format. There was not a professional entertainer in the group (we saw them loading up on liquid courage before the show) but it was great fun seeing the crew get a chance to relax, goof around and wear their own clothes instead of uniforms. The crew seemed to sincerely be having fun and it was infectious. This was the first of several included shore excursions for the cruise. All passengers were issued wireless receivers before each tour that went with the personal earpieces that were provided in your stateroom. The tour guide would speak into a microphone and you could hear everything without being right next to the guide. We loved this feature! It made the tours much more comfortable and let you wander around, sight-see and take pictures without missing a thing. All tours were conducted by local guides and they really went out of their way to make sure that you were walking downhill as much as possible. 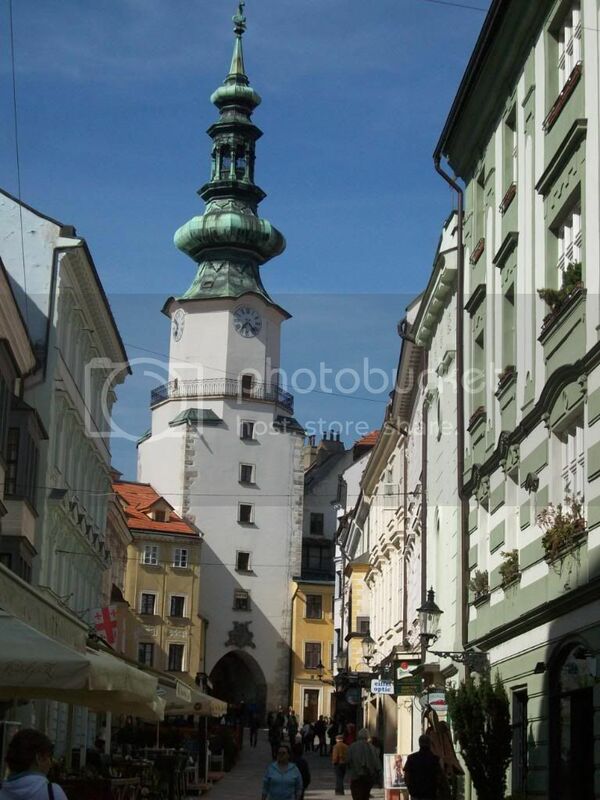 We had a nice bus tour of Bratislava including a stop at the Mirbach Palace followed by a walking tour of the Old City. The Baroque and Rococo architecture was lovely and stops included a quaint little marzipan shop/museum and the Gothic Cathedral of St. Martin. 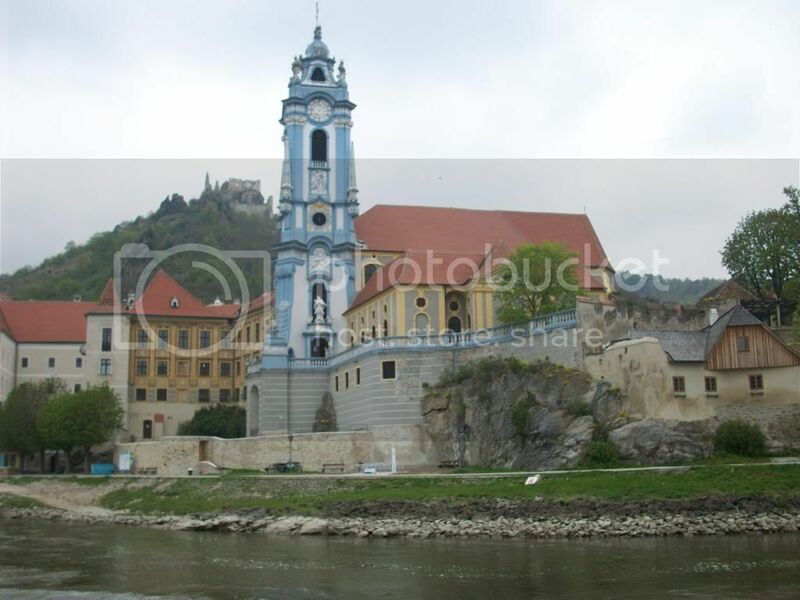 Durnstein is a picturesque little fairy tale village which maintains its charm largely because the main road runs through a tunnel under the hill the town is built on, leaving very little traffic in the town itself. Our included tour took us through cobblestone streets and past the Baroque tower of Stiftskirche with its striking blue façade. There were numerous little shops, each one cuter than the last, selling apricot based products from schnapps and liquors to jams and mustard. On the hill high above the town are the ruins of the castle where Richard the Lionheart, King of England, was imprisoned in 1192. If you’re up to the climb, the view from the ruins is simply breathtaking! 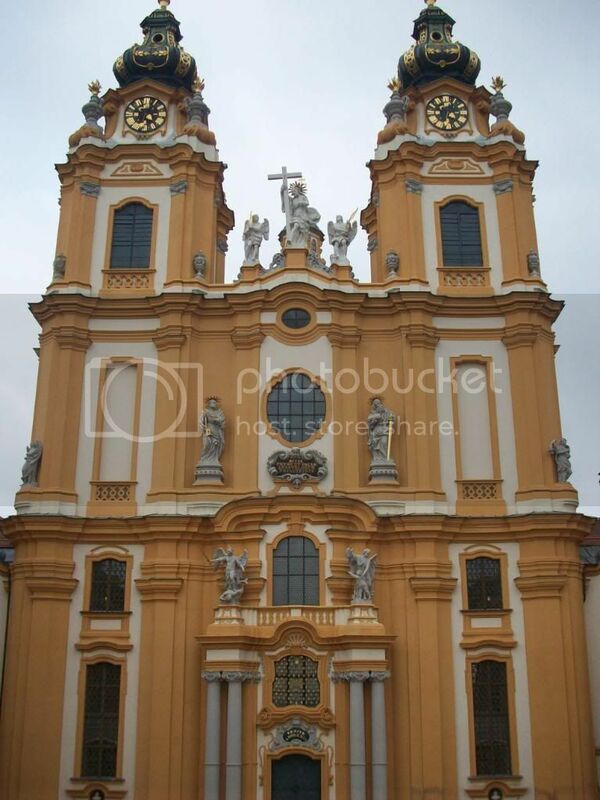 Our included tour of Stift Melk, the magnificent Benedictine Abby above the town, was wonderful. We started in rooms filled with artifacts and paintings, moved through the Marble Hall with its beautiful ceiling fresco and the library with its secret panels to culminate in the amazingly ornate Monastery Church. Unfortunately there wasn’t really any time to explore on your own at this stop. An optional excursion was offered for purchase here where you got to make your own Linzer Tort and went on a sightseeing tour while it baked. We opted to explore on our own. As Austria’s third largest city, Linz is filled with all of the requisite big chain stores and restaurants. 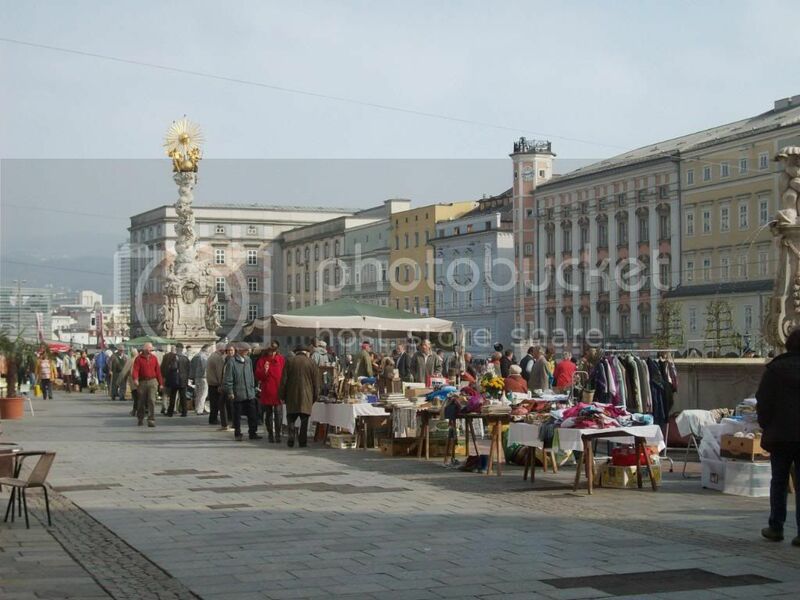 Nonetheless, we managed to find a few little local shops and browsed through a fascinating flea market set up in the Hauptplatz. Our included walking tour of the town featured stops at the Parish Church and the amazing Stadttheater, Grein’s historic municipal theater. Built as a granary in 1563 and transformed into a theater in 1791 it has been in operation ever since. After the tour we had time to stroll along the cobblestone streets and relax beside the river before returning to the ship. 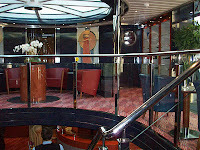 After disembarking the ship we took the provided deluxe motorcoach to the cruise line’s post-cruise hotel but we then parted ways as we had made our arrangements independently. We quickly checked our luggage and purchased a 24-hour pass to the subway system. We found the public transportation in Vienna clean, well-signed and easy to navigate. 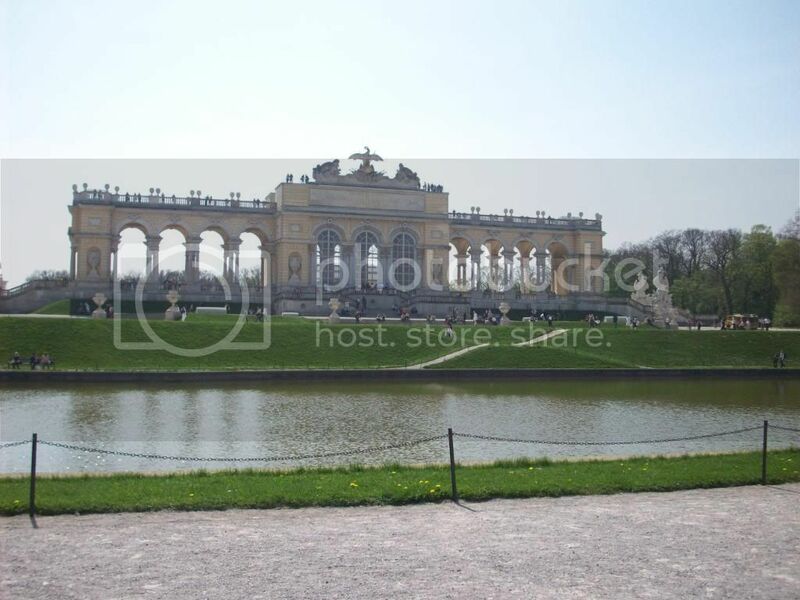 Our first stop was Schoenbrunn Palace http://www.schoenbrunn.at/ where we only had a few hours but could have easily spent a day or two exploring. We opted for the 40 room Grand Tour that included a pre-recorded audio guide (in your choice of twelve languages) and individual playback devices so that you could proceed at your own pace. The lavish opulence of these rooms must simply be seen to be believed! We then spent time exploring the grounds including the Maze, Gloriette (where we stopped for a quick snack http://www.gloriette-cafe.at/) and Privy Garden. Overall a wonderful albeit too brief experience. That afternoon we checked into the Hotel Capricorno Wien http://www.schick-hotels.com/, which proved to be a nice little hotel in a great location with free WiFi and an included breakfast buffet. We set out to find a place for dinner and, as always, we gravitate towards places that are less touristy and more for locals. A single sign over a doorway directed us down a dark, hundred-yard-long hallway to a wonderful little restaurant nestled in the courtyard between several tall buildings. Hinterholz http://www.hinterholz.co.at/ was decorated like an old farmhouse and we were served huge orders of hearty, authentic Austrian food by a friendly staff. After eating we wandered around a little bit and walked out of an ally right into the Stephansdom http://www.stephansdom.at/, arguably Austria’s most magnificent Gothic cathedral. That evening we took the subway to Kursalon Wien http://www.soundofvienna.at/ and attended a Strauss & Mozart Concert in the very hall where Johann Strauss himself used to direct his orchestra. In addition to the instrumental numbers, some of the songs included opera vocalists or ballet dancers. Our fellow passengers (all seventeen of them) were all from English-speaking countries – Australia, New Zealand, Canada, USA – and we had time to chat with all of them. We were surprised to learn that none of them were big ship cruisers. A couple of them had done one cruise but most of them had traveled previously with land tours like Avalon Waterways’ parent company Globus. 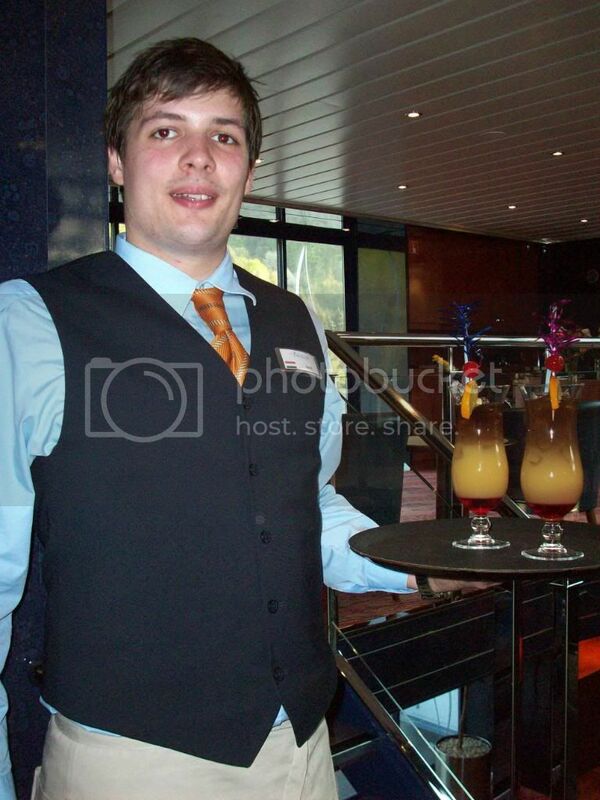 Without exception, they all loved the river cruise experience – and so did we. While we certainly won’t be giving up our big ship cruises, we’re now hooked on river cruising as well and can’t wait for the next one!